Nothing says Christmas like a young brat beating up on two criminals. When you really take a step back and consider the story of Home Alone, it is a bit strange that it has become a holiday classic. It is an annual tradition in my house, but it’s one I don’t allow the kids to see just yet (I don’t want to get my hand burned on a doorknob or my face smashed with an iron anytime soon). Why did this movie catch on? The movie had a $15 million budget and grossed over $285 million at the box office, not to mention the fact that the sequel did pretty well too. But, why? Why did so many line up to see an irresponsible family accidentally leave their child at home and pummel two wannabe criminals? Little did Kevin know, his wish would be granted. Lost power, a frantic household, and a misplaced neighbor in a roll call, all led to Kevin being home alone. At first Kevin rejoices in his newfound freedom. Screaming through the house, shooting pellets at action figures, eating rubbish and watching junk, with absolutely no one to stop him – this is the life! Or, so he thought. The junk he’s watching turns out to be a little unsettling, the basement is a bit on the terrifying side, shopping for the essentials can prove to be challenging, and, if you’re not careful, you can end up becoming a shoplifter. Not to mention the fact that, two clumsy criminals have their eye on your house. It turns out, however, that all of Kevin’s pinned-up anger towards his family has found a useful outlet in Marv [Daniel Stern] and Harry [Joe Pesci]. In the end, Kevin learns that his rebellion hasn’t made him any happier. In fact, those he felt like he could not live with, were the only ones who made life worth living. And, this is ultimately something we can all identify with. Not only do the themes of family resonate with each of us, but the theme of rebellion definitely does. Every human being on the face of this earth is rebellious. The people who dished out over $285 million at the box office tell us that, as well as, the television networks who air the show each year and those of us who watch it. We are born with rebellious hearts that can only become hearts of service through the grace and power of the Holy Spirit. What Home Alone teaches us is the fact that we ultimately need our hearts broken. It isn’t until we taste of our rebellious hearts, that we realize how empty self-service truly is. And, if the lesson learned by Kevin is never one you can echo, you too will find yourself all alone. Each year our family goes to Ousterhout Christmas Tree farm near Pelahatchie, MS, to participate in one of the longest lasting traditions of the Christmas holidays. If you think about it, cutting down a tree, bringing it into your house, and putting lights and decorations on it is somewhat of a strange tradition. However, it is one of the Christmas traditions that is shared by many, and, something we can all enjoy. While many of these traditions do not directly point to the birth of our Savior, Jesus Christ, Christians can still participate in them and enjoy them as they help us to remember the first advent (and anticipate the second) of our King. Similarly, some of the Christmas movies mentioned below do not help in telling the story of the birth of Christ, however, there are many I enjoy during the Christmas holidays. As we have mentioned, every film communicates truth from Scripture, but this post will not get into parallels or themes. Rather, this is simply a list of films I enjoy each Christmas season, with a few comments. Some of these films will be discussed, in detail, at a later date. 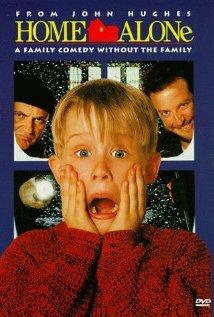 Home Alone (1990): synopsis – A young boy named Kevin McAlister is left home alone while his parents head to France for the Christmas holidays. While at home, Kevin, tortures two would-be criminals that attempt to rob the McAlisters and many other homes in the neighborhood. If two criminals getting tortured by an eight-year-old doesn’t say ‘Christmas’ I don’t know what does. Classic scenes/characters – The pizza delivery scene, Joe Pesci and Daniel Stern’s physical comedy, the spider on the face, Santa giving Kevin a few tic-tacs as a treat, and even the ever-frustrating fact that Kevin never finishes his microwavable meal he prepares prior to his torturous antics. Great Lines: Kevin: I made my family disappear; Marv: Kids are afraid of the dark. Harry: You’re afraid of the dark, too, Marv. Kevin: Is this toothbrush approved by the American Dental Association? 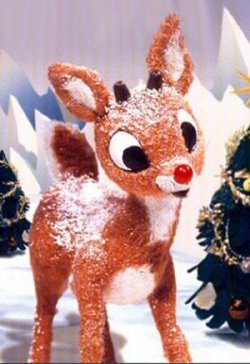 Rudolph the Red-nosed Reindeer (1964): synopsis – Rudolph and his team of misfit toys teach us that we are all special and should not be left out of reindeer games. Classic scenes/characters – Yukon Cornelius and his trusty pick axe, Sam the Snowman played by Burl Ives, Rudolph covering up his nose with dirt, the abominable snowman getting his tooth pulled, and that ear-piercing-noise when Big Red’s nose would glow. Great Lines: Yukon Cornelius: Didn’t I ever tell you about Bumbles? Bumbles *bounce*! 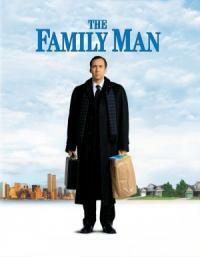 The Family Man (2000): The extremely wealthy, Jack Campbell, gets a glimpse of what his life would have been like had he chosen a life with a family instead of riches. Personal Thoughts: This film is excellent and highly underrated. I look forward to watching it each year and continue to enjoy it each viewing. I know it’s basically a retelling of the classic film, It’s a Wonderful Life, but it’s still well done. I’m a huge Jeremy Piven fan, so that’s a big plus as well. Although I would highly recommend that you rent this movie, there is some adult content you must be aware of, so go to IMDb and check out the parental guide. Classic scenes/characters – The diaper change. Great Lines: [after Jack hands his son to the day-care worker] Do I get a receipt or something? Jack: I’m in the middle of a deal, Cash: Well, you’re working on a new deal now, baby. Arnie: Don’t screw up the best thing in your life just because you’re a little unsure of who you are. Elf (2003): As an infant, Buddy, accidentally climbs into Santa’s bag and is taken back to the North Pole where he is raised by elves. However, years later he is released into the world to find his true family. Classic scenes/characters – Putting the star on the tree, the raccoon attack, congratulating restaurant employees on making the world’s best cup of coffee. Faizon Love as the Gimble’s Manager, the snowball fight, the soundtrack (we own it, you should buy it), and Bob Newhart as Papa Elf. Great Lines: Buddy: Buddy the elf, what’s your favorite color? Buddy: He’s an angry elf. Buddy: Have you seen these toilets? They’re GINORMOUS! Buddy: I just like to smile, smiling’s my favorite. Buddy: You smell like beef and cheese…you sit on a throne of lies. Buddy: Son of a nutcracker! 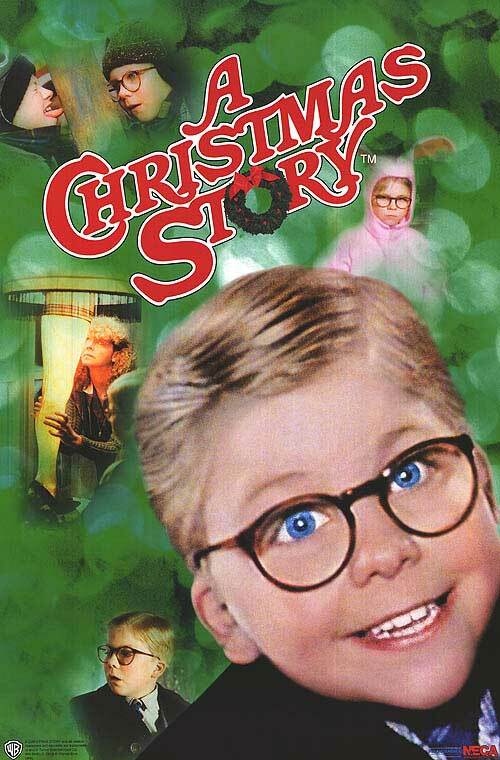 A Christmas Story (1983): The coming-of-age story about a young boy and his pursuit of an official Red Ryder, carbine action, two-hundred shot range model air rifle. Personal Thoughts: It says a lot that this film can show repeatedly for a 24 hour period on TBS or TNT…I forget, and I will watch it over and over again. Classic scenes/characters: Ralphie, Randy, Swartz, Flick, Scot Farkus, the lamp, the Bumpuses dogs, fa ra ra ra ra, and the classic tongue stuck to the poll. Great Lines: You’ll shoot your eye out! Ralphie: Be sure to drink your Ovaltine. Mr. Parker: Fra-gee-lay. That must be Italian. Mr. Parker: He looks like a deranged Easter Bunny. He looks like a pink nightmare. Randy: I can’t put my arms down! Schwartz: Well I double-DOG-dare ya! Ralphie as Adult: [narrating] NOW it was serious. A double-dog-dare. What else was there but a “triple dare you”? And then, the coup de grace of all dares, the sinister triple-dog-dare. Schwartz: I TRIPLE-dog-dare ya! Christmas Vacation (1989): The Griswold family hosts an unforgettable family Christmas, but gets a few too many relatives in one house. Personal Thoughts: I know that this is one of the edgier choices on the list, but it has been a long-time favorite for years. I am not recommending that you add this to your list of Christmas films, or that you go out and rent it immediately. There is some adult content in this film and we all must be cautious and considerate of that. All of that being said, this is a classic comedy that I truly enjoy to watch. To me, Cousin Eddie (in this installment of the Vacation series) may be one of the funniest characters in cinematic history. Classic scenes/characters: Cousin Eddie, the cat playing with the lights, Clark Griswold on the roof, the S.W.A.T. team. Great Lines: Clark: Hey, Kids, I heard on the news that an airline pilot spotted Santa’s sleigh on its way in from New York City. Eddie: Are you serious Clark? ; Eddie: If that cat had nine lives it sure used ’em all. Clark: Good talk Russ. Bethany: Is your house on fire Clark? Clark: No, Aunt Bethany, those are Christmas lights. Eddie: He’s just nawin’ on a bone. 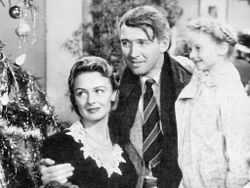 It’s a Wonderful Life (1946): With a little help from an angel, George Bailey gets a little help in seeing what life would be like without him. 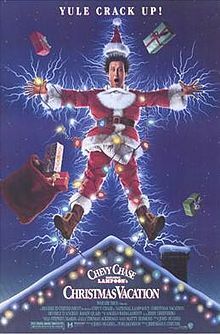 Personal Thoughts: Is there really a more classic Christmas film than this? Not only is this a classic Christmas film, but a classic film that was nominated for 5 Oscars – three of them being, Best Actor, Director, & Picture. Although it did not win in those categories, Frank Capra did receive a Golden Globe for Best Motion Picture Director. This is a film that helps us to see God’s sovereign hand in our lives. Great Lines: Zuzu Bailey: Look Daddy! Teacher says, every time a bell rings an angel gets his wings. Annie: I’ve been savin’ this money for a divorce, if ever I got a husband. George: Well, you look about the kind of angel I’d get. Sort of a fallen angel, aren’t you? What happened to your wings? George: Isn’t it wonderful? I’m going to jail! Clarence: Ohh, there must be some easier way for me to get my wings. 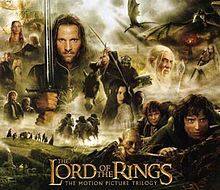 The Lord of the Rings Trilogy (2001, ’02, ’03): Where to begin? A hairy-footed hobit named Frodo battles his way through Middle Earth on his quest to destroy a ring. There, that one sentence should sum up one of the greatest literary masterpieces of all time. Personal Thoughts: I know this may seem like a strange trilogy to include in a list of Christmas films, but it belongs here for me. If you remember, each year in December these films were released, so I became accustomed to anticipate them as a part of the Christmas holidays. The extended versions of these films were also released for Christmas, so they made their way on my Christmas lists each year. Great Lines: There’s really too many great lines, characters and scenes to mention in this brief section, but here’s one…Gollum: My precious. A Charlie Brown Christmas (1965): Charlie Brown assists most of us in our frustration of the commercialization of Christmas, by searching for the true meaning of Christmas. 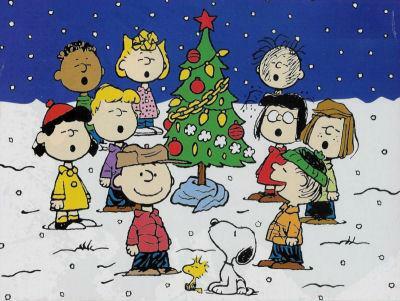 Personal Thoughts: While every one of the mentioned films have parallels and themes surrounding Christmas, A Charlie Brown Christmas, explains what the true meaning of Christmas is; i.e., the birth of Jesus Christ. Classic scenes/characters: The entire peanut gang, the little Christmas tree that just needs some love. Great Lines: Charlie: I guess you’re right, Linus. I shouldn’t have picked this little tree. Everything I do turns into a disaster. I guess I really don’t know what Christmas is all about. ; Charlie Brown: Thanks for the Christmas card you sent me, Violet. Violet: I didn’t send you a Christmas card, Charlie Brown. Charlie Brown: Don’t you know sarcasm when you hear it? How the Grinch Stole Christmas (1966): Dr. Suess tells the story of a grumpy hermit who plans to steal Christmas from the Whos of Whoville. Personal Thoughts: This was one of my favorite Christmas movies from my childhood, even though I was slightly afraid of the Grinch. Classic scenes/characters: The Grinch (obviously), sweet little Cindy Lou Who, and the Grinch’s dog, the dog attempting to pull the entire sled, the Grinch using a magnet to remove stockings from the fireplace mantel. 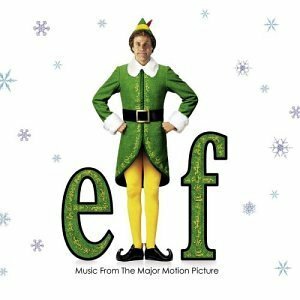 The song – You’re a monster, Mr. Grinch / Your heart’s an empty hole / Your brain is full of spiders, you have garlic in your soul / Mr. Grinch / I wouldn’t touch you with a thirty-nine-and-a-half foot pole. 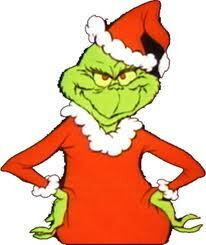 Great Lines: Cindy Lou Who: Santie Claus, why? Why are you taking our Christmas tree? Why? Narrator: But do you know, that old Grinch was so smart and so slick, that he thought up a lie and he thought it up quick. Grinch: Why my sweet little tot…there’s a light on this tree that won’t light on one side. So I’m taking it home to my workshop, my dear. I’ll fix it up there, then I’ll bring it back here.